A special of the day of deep-fried mozzarella (£7.50) was well crumbed and fried to a golden crispiness. But it hadn’t been heated through so lacked for a melted gooey centre. There were also some chargrilled zucchini and a beetroot couscous, both of which were very tasty and well prepared. But both were served cold and this dish would have worked much better if they had been warmed. 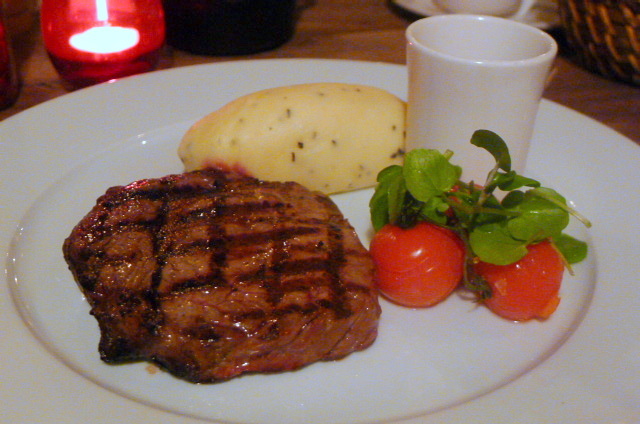 A 28 day dry aged Rose County Farm rib eye (200g – £19.50) was very tasty and tender, but it had been cooked more medium rare than the requested medium. There was a nice rosemary flavour running through the rosemary and garlic mash, but you couldn’t really taste the garlic, and a red wine jus was far too thick and heavy. 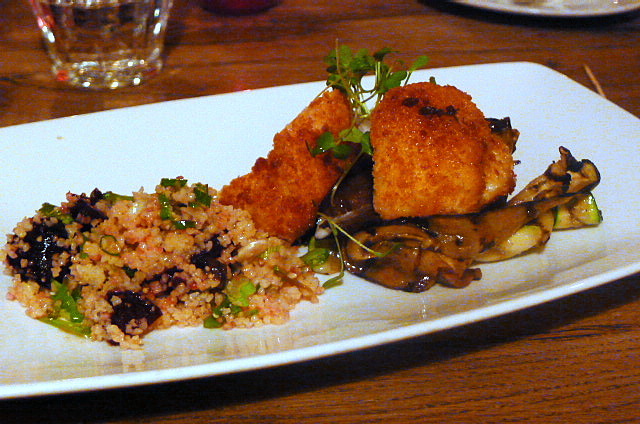 A line caught cod fillet (£18) was flakey and pleasant, but it lacked oomph. 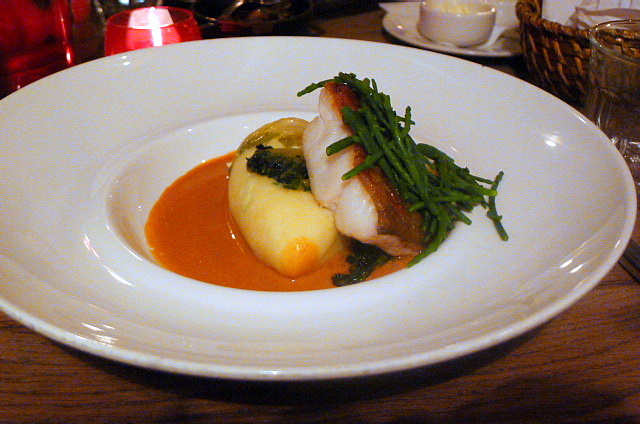 Braised baby gem and samphire were nicely done, and a bisque sauce was delicious and sweet. Mashed potatoes, rather than the champ described on the menu, proved to be quite floury from the choice of potato used. 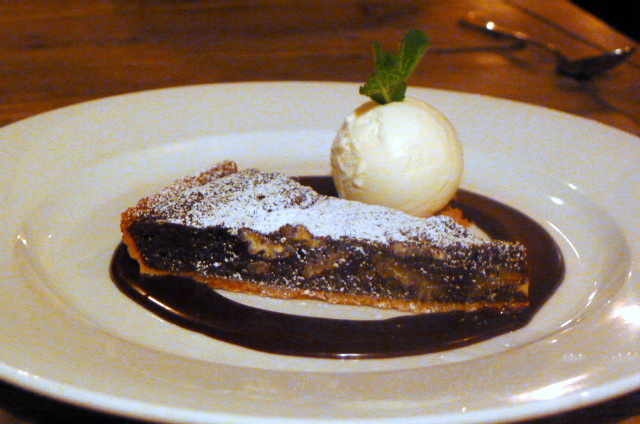 A chocolate and pecan tart with chocolate fudge and milk ice cream (£7) was very good. There was a smooth chocolate-y flavour to it and the use of pecans was well balanced. However, the pastry could have been a little shorter for a better effect. Breads and olives were charged at an exorbitant £4.50, and cheekily the cost of this is not listed on the menu. I don’t think it right that a restaurant charges for something without clearly stating this so you’re aware of it upfront. In any event, the restaurant kindly took this off the bill, which was a nice reflection of the very pleasant and accommodating service. The food, although good, didn’t quite produce the wow factor. It was enjoyable enough, but the promised flavours of some of the ingredients on the menu didn’t always come through. Furthermore, certain dishes could have done with some tweaking for better balance, and the choice to serve the mozzarella dish cold was a questionable one. It wasn’t that the food was bad, it just didn’t thrill. This meant that the pricing point of the dishes on the menu seemed marginally expensive for the standard of the cooking. £18 for a cod dish felt heavy for a dish that was almost, but not quite, there. It’s a charming restaurant and the service was good, but I wasn’t quite convinced that The Grazing Goat was the best value for money. 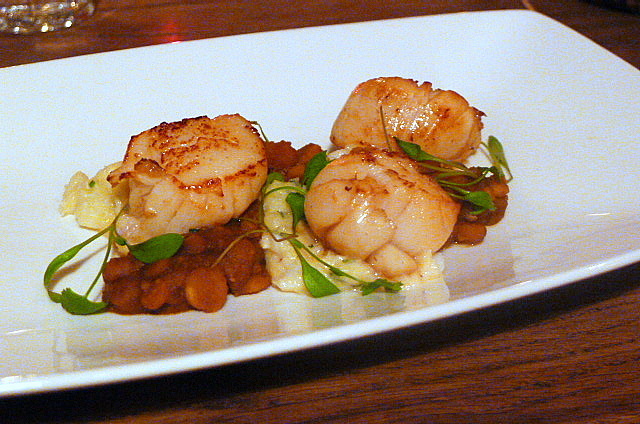 Price range: £28 to £47 for three courses, excluding drinks and service.